The Alexa app has held on to the top spot since Christmas Day —its first time ever atop the charts, TechCrunch noted. 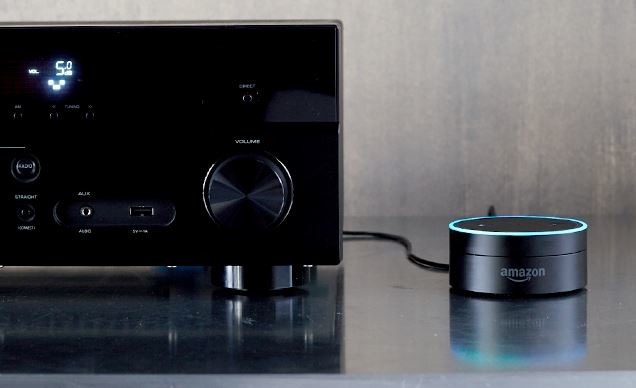 The Alexa iOS and/or Android apps are vital to setting up an Echo speaker, for instance enabling Wi-Fi pairing, configuring smarthome functions, and choosing default music services. Earlier in December the app was typically ranked in the 60s through the 90s, suggesting that many Americans were gifted an Echo for Christmas. Aside from the Dot and the standard Echo, other models include the Echo Plus —which doubles as a smarthome hub —and the display-equipped Echo Spot and Echo Show. The app has hit second place on the U.K. App Store, and fifth in Germany and Austria, suggesting strong sales in those markets as well. Amazon announced this week that the Echo Dot was the No. 1. selling Amazon device this holiday season, and the best selling product from any manufacturer in any category across all of the online retailer. The company said it sold "millions" of Echo Dots, but declined to provide any specifics. Separately, U.S. downloads of the Google Home app rose from 38th on Christmas Eve to sixth on Christmas Day. That could point to healthy numbers for Google's Home, Home Mini, and Home Max speakers, but the app is also essential for the company's Chromecast media streamers. The popularity of Amazon and Google's smartspeakers could create problems for Apple, which has had to postpone its $349, Siri-based HomePod speaker until early 2018, missing the holidays entirely. People already invested in Amazon and Google products may be unlikely to mix-and-match platforms.